RRP $53 - available in 10 shades. Transform your complexion to perfection. For flawless, naturally beautiful skin, try our silky-smooth, feather-light mineral powder foundation to conceal imperfections and provide buildable coverage. This “no makeup” feel formula helps prevent moisture loss and creates a shine-free finish. The innovative fabric sifter keeps the powder inside for no mess. 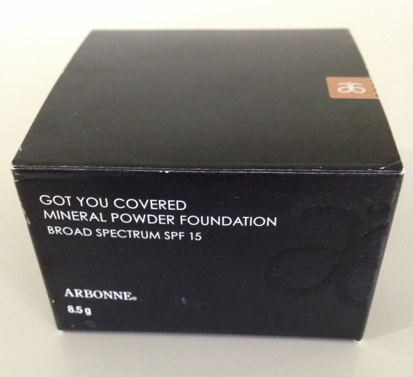 Got You Covered Mineral Powder Foundation is the newest on market for Arbonne. 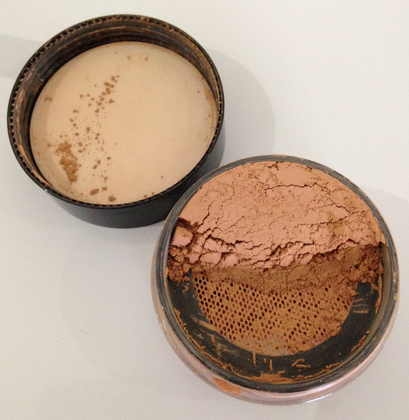 I have always been a huge lover of mineral foundations as they are just so much nicer on your skin. 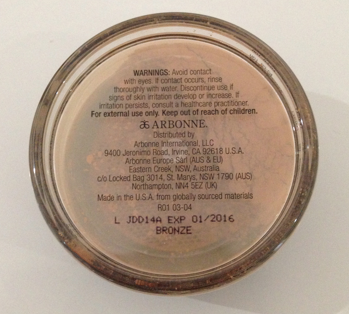 Powders I have only really used just as a setting/finishing off product for my liquid foundations but Arbonne have changed my mind on that side of it. 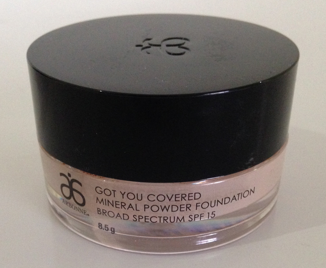 Arbonne's Got You Covered Mineral Powder Foundation has really 'got you covered'. It's an easily buildable coverage foundation that allows you to set the mark on how you will achieve the perfect look. I love how mineral foundation powders just feel so much lighter on the skin as well and allow you to not feel cake faced. Powder foundations are what I wear mostly in the summer for those hot days so my face doesn't melt off like it would with liquids. The struggle is though with powder foundations that they don't stay all on day unfortunately so try using a light liquid foundation or even a BB/CC cream underneath that's light and then build up your coverage with the powder just to hold onto it for an all day coverage with little reapplication. I love the packaging that the powder came in - which is something I commend Arbonne on, as there packaging has never been a disappointment when it comes to how it looks. It has the elegance thing going on and is quite luxurious with the peep hole at the bottle through the glass. My only drama was that I had so much powder come through the lid that when I first opened up the powder and pulled back the little white pad that keeps it all behind the mesh that I ended up wasting quite a bit of it trying to get the pad off as it flew everywhere and was sitting on top of the mesh instead of underneath. 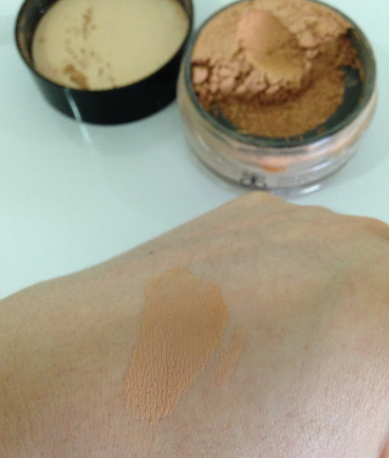 For best application of the Arbonne Got You Covered Mineral Powder Foundation I suggest using a flat round kabuki type brush to really get the powder into your skin in an even setting tone. The put off for me is the price point of Arbonne's products but if a product really works for you and it does amazing things to your skin it's worth it, the soft flawless coverage that you get from this product would definitely make it worth the spend. Something that I can't get past with most cosmetics brands is that they don't just keep the same line of shades and Arbonne are one that I can never get right with the differences of the shades. Unfortunately you can't buy Arbonne in stores so it would be hard to get the right shade without testing first. You can just tap your container on your counter and all of the powder will sift back to the bottom of the mesh. It must have shipped upside down is all. Also there is a store where you can colour match. There's one at the will call store in Mississauga Ontario. I'm not sure if there are others. PCs and ICs can shop there. Clients must go with their IC. You can also purchase the shade matching cards through business aids so if you know a consultant, ask her to show you the shade matching cards before you order :) Or you can simply return the shade for the correct shade if you can't find any cards and end up with the wrong shade.